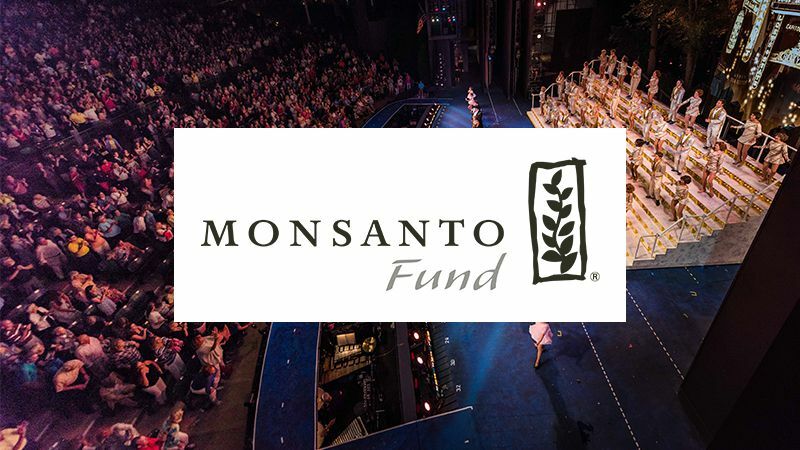 ST. LOUIS (Jan. 28, 2019) –The Muny announced today a $20,000 grant approval from the Monsanto Fund to assist with The Muny’s Community Access Program, a program they have proudly supported since 2012. The Monsanto Fund, a philanthropic arm of Bayer, is a nonprofit organization dedicated to strengthening the communities where farmers and Bayer employees live and work. The Muny’s Community Access Program targets unserved and underserved communities, including those with physical and emotional limitations, in the St. Louis area whose members would be unable to attend on their own. By partnering with more than 150 social service organizations each season, The Muny is able to provide tickets at no cost to each Muny production. This program supports the mission of The Muny in the purest sense as it truly provides access to all, regardless of their individual ability to attend. Applications for the 2019 Community Access Program will open February 1. For more information or to apply, please visit muny.org/community-access.